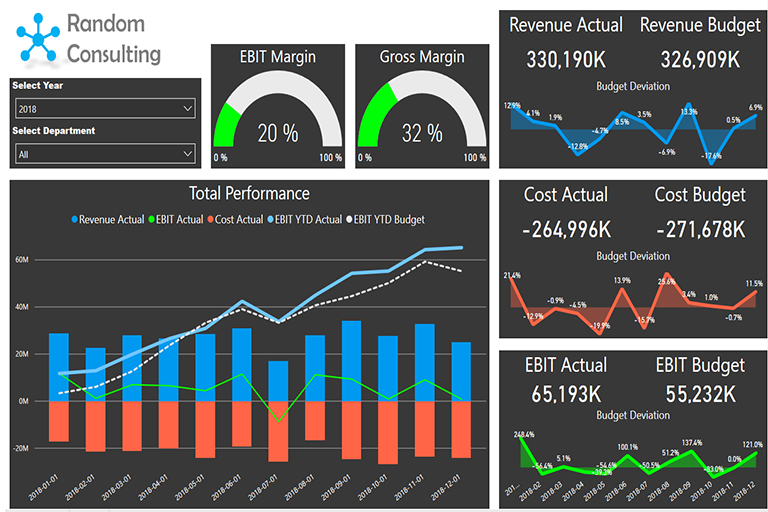 A dashboard demonstrating KPI:s and budget tracking for an imaginary Consulting Services company. 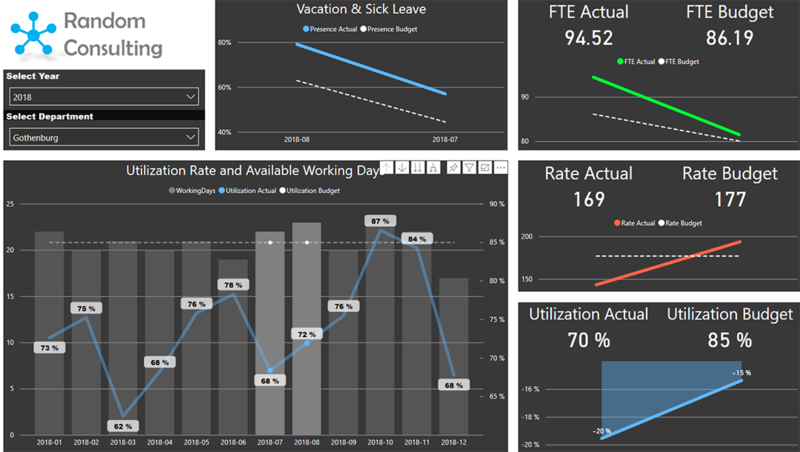 The scenario for this demo is a simplified consultancy firm with about 200 consultants working for clients paid by the hour. The consultants are permanently hired on fixed salary so apart from the normal financial KPI:s it is important with achieving as high utilization as possible. The company has three departments in Sweden of different sizes. Budget is set in the beginning of each year for each of the departments. 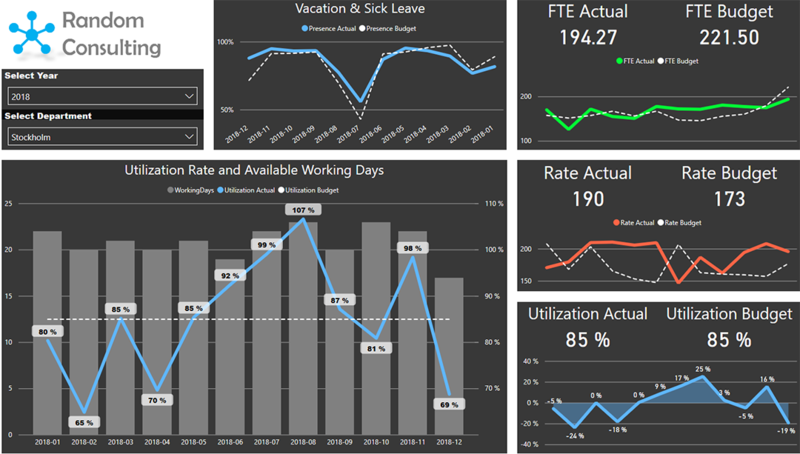 This is a dashboard primarily targeted for management, giving a quick glance at the current status but also empowering them to understand and ask the right questions in order to take action for better performance. To achieve better corporate performance and being able to act on deviations in time, management needs to get a view of the current status, but also the long term yearly goal. Normally an indicator on a high level consists of many sub-indicators which makes it hard to understand the underlying reason for a deviation. I.e. if profitability goes down, it could be due to higher cost or lower income. Lower income can depend on consultants not working hard enough, or just that there just happened to be a big holiday that wasn't being calculated with. 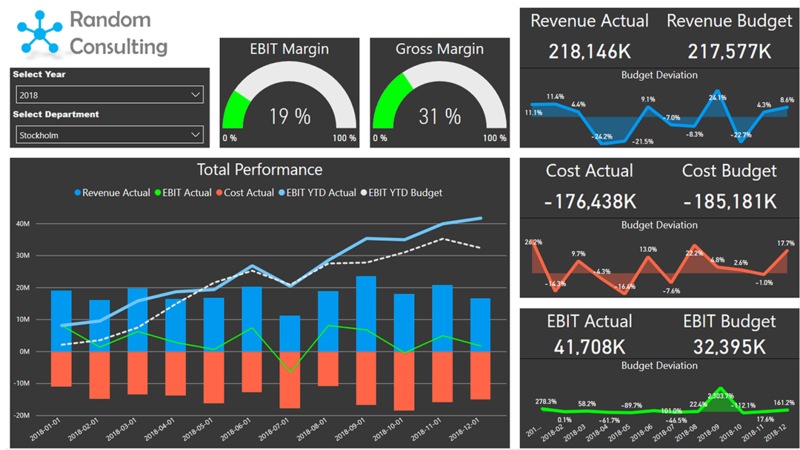 Being able to se the long term yearly goal together on the key performance indicators with the most important sub-indicators and how they deviate against target is a powerful way of giving quick insights on a company performance. Being able to also highlight, drill and change perspective empowers management to get answers or sharpening their questions to middle management. 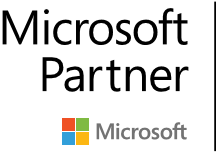 Visit http://www.randomforest.se for help with building BI solutions with Power BI and Azure.